Generate project reports to monitor your team’s status with one click! Choose from a list to get the data you need, including Project Status, Tasks, Timesheet, Workload, Expenses & more. Customize your project reporting to get just the data you need. Filter just the projects and data columns you are interested in, then drill down to see particular team members or tasks. Each report can be customized in a number of different ways. You can calculate your planned versus actual progress across individuals, tasks and projects in just one click. ProjectManager.com calculates the number of days you’re ahead or behind schedule, so you don’t have to work it out for yourself. With ProjectManager.com, you can generate portfolio views of project health and performance across all your projects, and then drill down to view individual projects and groups. With ProjectManager.com, it’s easy to produce project reports to print, export and share online or offline in a variety of formats. Download as a PDF, Excel or csv file, or produce an offline version we email to you. View an online PDF or even live project dashboards, so everyone stays informed. Share your reports with anyone to collaborate on your projects. They are notified in the system and by email. 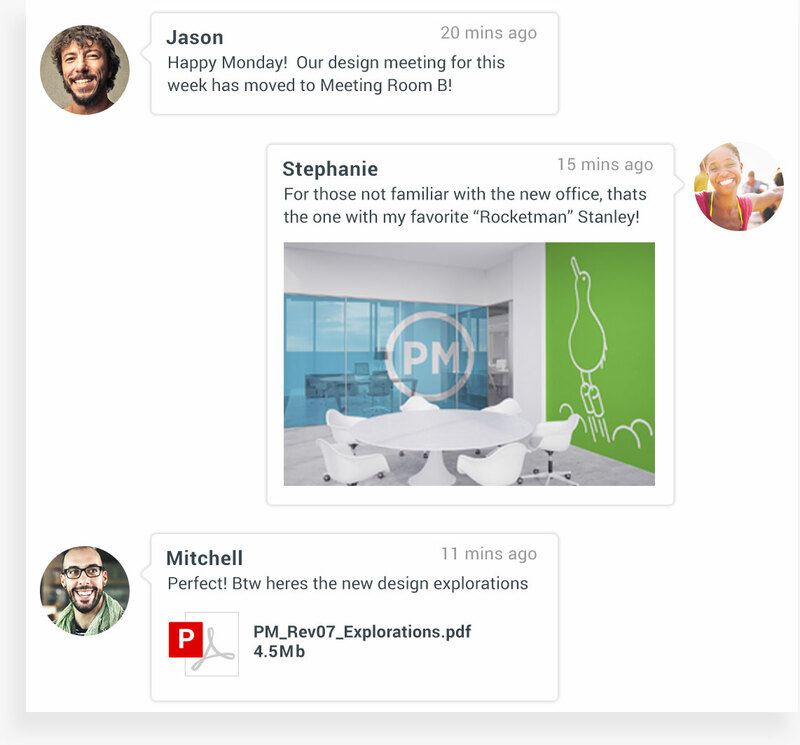 All your comments and emails are saved in the system, so your notes and conversations can be viewed all in one place. 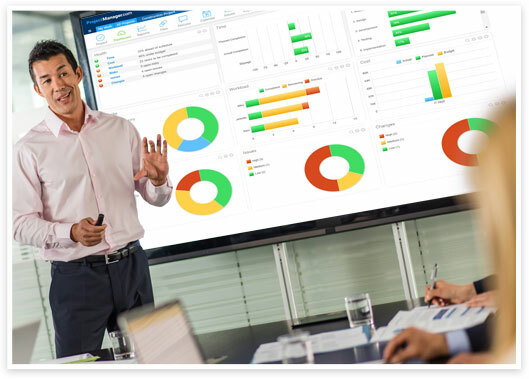 With ProjectManager.com, you get project reporting tools that help you monitor every aspect of your project and your teams. You’ll always know where you stand with our real-time dashboard and these executive-ready reports you can print, view or share in just one click. 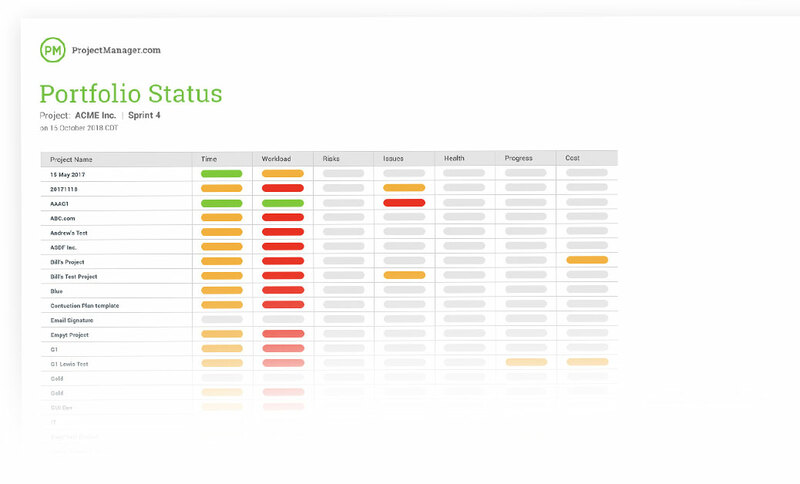 One-click project status reports give you all the data you need to monitor your project. View progress across all your projects and teams with the portfolio status views. Get reports on individual and team timesheets, across any timeframe you choose. View your resource availability on specific projects, so you can plan smarter. View your project plan in an easy-to-read report to track costs, assignments and progress. Report on task progress by project and team member to always know where you stand. Track your team’s workload on projects and tasks, across any time period. 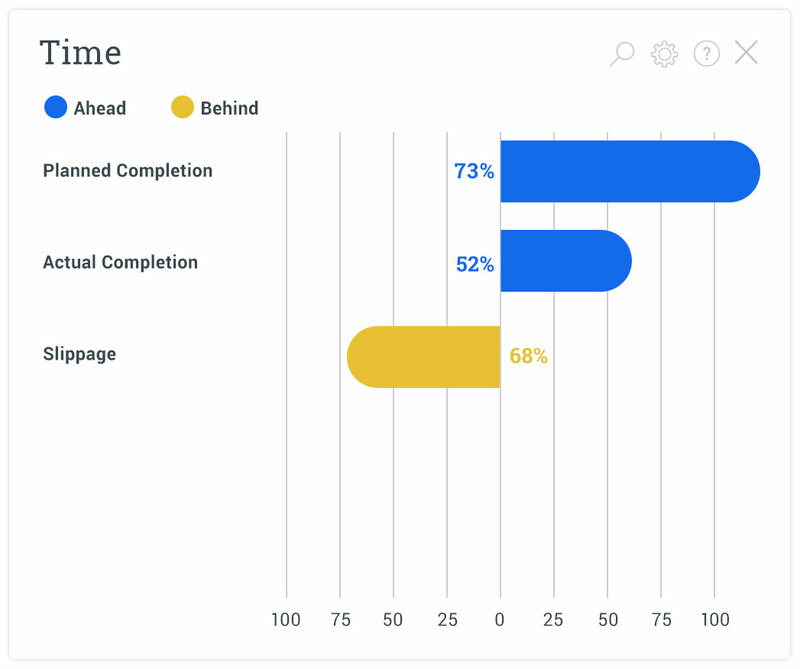 Monitor progress in real time with always-on reports on project, team and task status. Compare your plan against the actual progress being made to measure the rate of success. Create issue reports to track the data and progress on risks, issues and changes on your projects. Get instant expense reports to track costs and monitor budgets on projects. For all our reports, you can filter and customize to target just the data you need.